Are you constantly obsessing about your weight and the food that you eat? Wonder if it’s possible to actually enjoy food and lose weight? Wish you could look in the mirror and feel good about what you see? Want to be free of the constant guilt and stress around your eating? Now you can enjoy what you eat and get to your perfect weight with The 3 Surprising Bite-Size Habits to Jump Start Your Weight Loss with Pleasure. Enjoy delicious foods while knowing the biggest secret to losing weight and keeping it off. Have your body run at its most optimal levels eliminating the need for excessive exercise and calorie counting. Break free from the madding cycle of diets, weight loss and weight gain for good if you chose to. The ONE question you need to ask yourself that will change the way you eat forever. How to boost your metabolism without lifting a finger. The key to a true love affair with food. Hint: The last One wins the race and gets more enjoyment with this last habit. 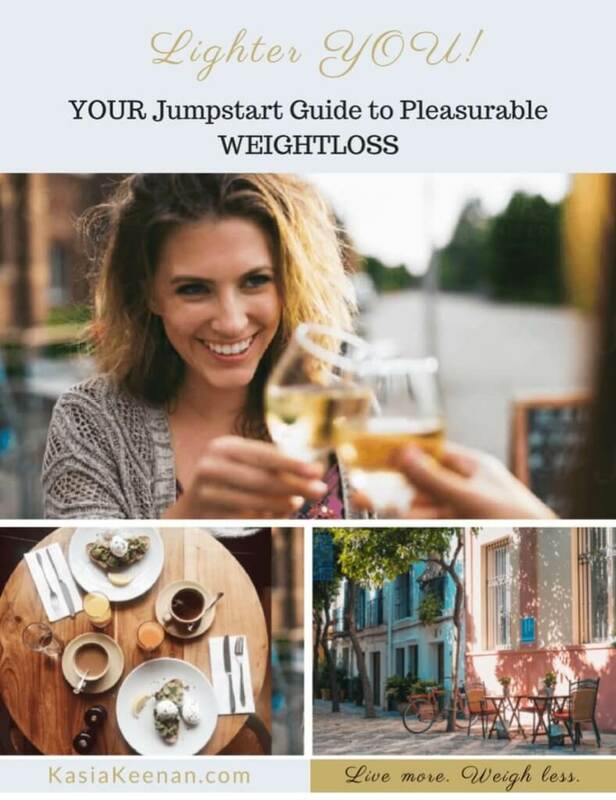 Your new bite-size habits will give you the jumpstart to creating a pleasurable lifestyle when it comes to enjoying your food and being free of the constant diet and weight-loss struggle you’ve been carrying for so long both in your mind and body. How do I know these bite-size habits work? Because I’ve personally embraced each and every single one of them as part of my self-care that’s given me more pleasure and sanity around eating while getting back to my natural thin weight. Getting off the see-saw of deprivation and overeating that I’ve lived with for so long for good. Yes! I’m ready to place my order for the delicious FREE Weight-loss GUIDE! I work with women like you who have accomplished so much, yet when it comes to themselves, they still struggle with their weight and are constantly thinking about what to eat. They wonder if it’s possible to get to their natural thin weight and keep it off without stress, guilt, and obsessing about it all. As a former jack of all diets and master of none, I got tired of feeling like a failure and all the head drama I experienced daily around my weight and food. This is why The 3 Surprising Bite-Size Habits to Jump Start Your Weight Loss with Pleasure is not about diets or exercise. 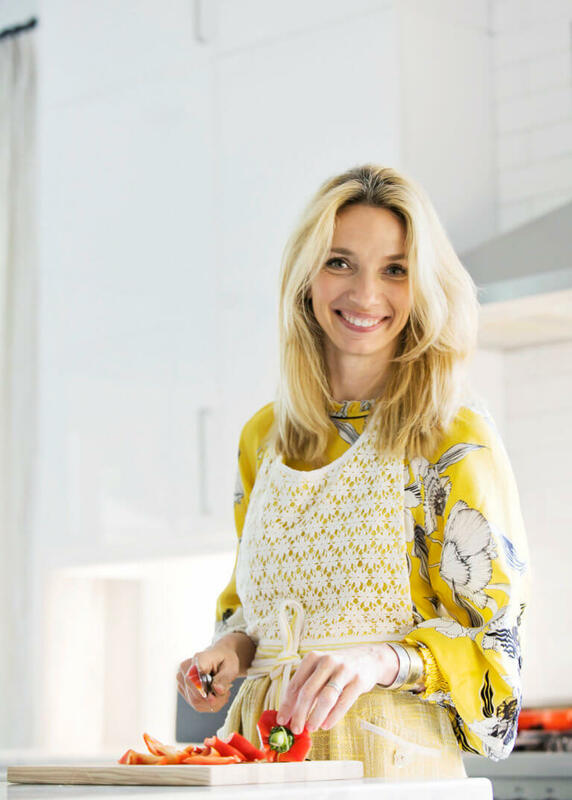 As someone who’s been there and came out on the other side, I now adore preparing delicious home-cooked meals and love going out to eat while maintaining a thriving natural weight. It can be the same for you too! Take it from someone who understands, therefore is very passionate and committed to showing women much like myself, that they too can drop their guilt and obsession about what they eat while losing weight and getting to enjoy their food. By incorporating these habits, you will begin to give yourself the self-care you deserve, feel energized, and free to live a truly pleasurable life. It’s surprisingly easier than you think! You deserve to sashay around in your skinny jeans, live more, and weigh less!